The beautiful thing about wedding invitations and stationery nowadays is that it’s completely okay to send an invitation that reflects your personal wedding style. You do not have to send an all-script engraved invitation if you are not the fancy formal type. Have your wedding stationery reflect both your signature style and the type of wedding you’re having. Today we have our first wedding stationer interview! A big thank you to Rhonda Caldwell, owner and graphic designer of The Graphic Design Girl for not only giving us her time for an interview but also for sharing some of her great designs with us! 1. Tell us about the Graphic Design Girl and the inspiration behind your company. 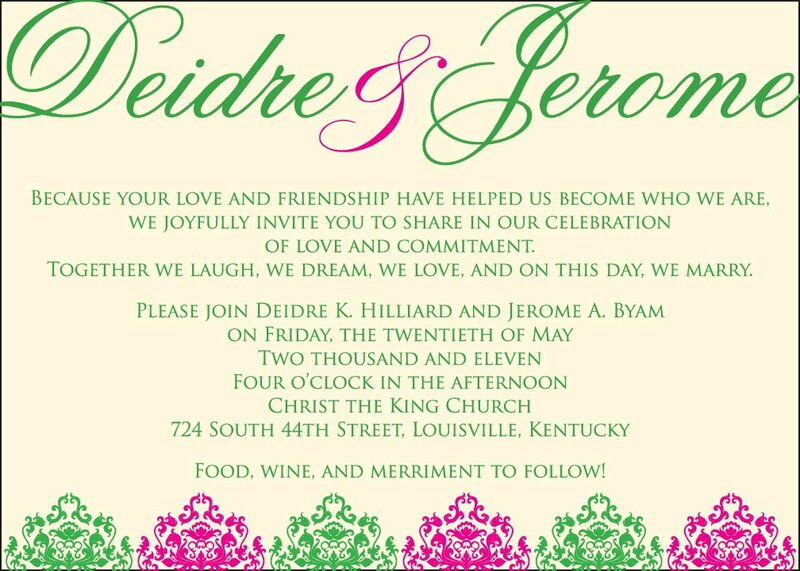 The Graphic Design Girl specializes in custom-designed invitations for all occasions: weddings, bridal showers, baby showers, birthdays, graduations, etc. We do not use templates or order from catalogs. Each invitation is created with each particular client’s wants, desires, and needs in mind. Everyone has their own unique personality – something that makes them special. We want that something special to be reflected in their invitations. 2. What are the trends you’re seeing right now regarding wedding invitations, save-the-dates, thank you's etc? * Themes - everything from carnival to peacocks. Television's My Fair Wedding with David Tutera proves anything can be made into a theme! 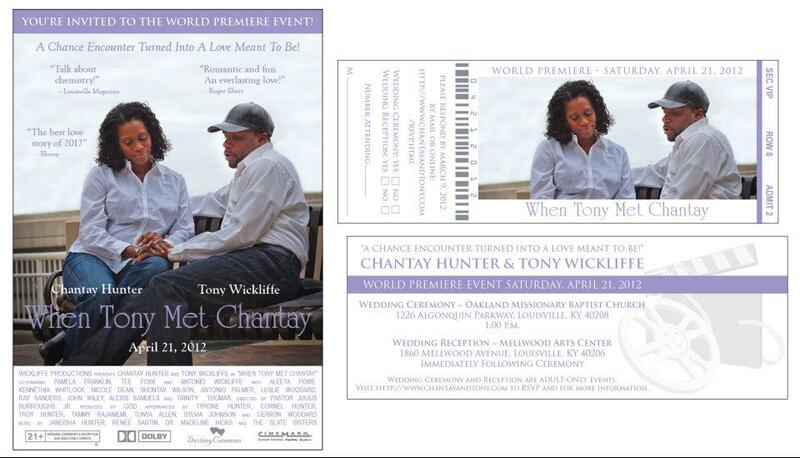 * Pocket invitations - pockets can be filled with respond card, directions/maps, wedding itinerary, etc. 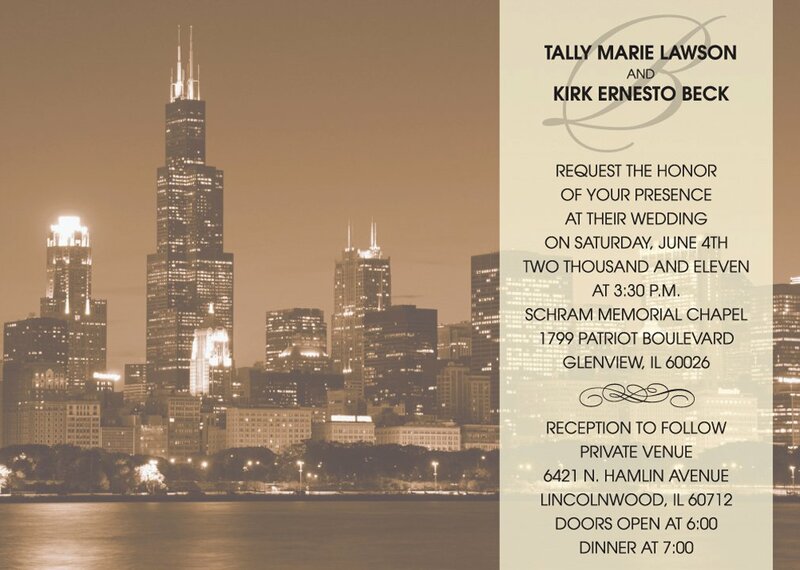 Invitations with a formal, classic, or simply elegant tone will never go out of style! 3. What inspires you? When you’re looking at designs, are you working mostly off of ideas that your couples have given you or how does that process typically play out? Mainly, the couples themselves serve as my inspiration. I personally meet with each couple to learn more about them, their story, their likes and dislikes, and what they envision for their wedding day. I then use what I've learned to create several invitations samples that will set the tone for their special day. 4. What is the most unique invitation you have designed? The most unique wedding invitation I have designed was a movie poster and ticket, and a passport for a destination wedding. 5. How soon before the big day should couples look into your services? How long does an order usually take to arrive? 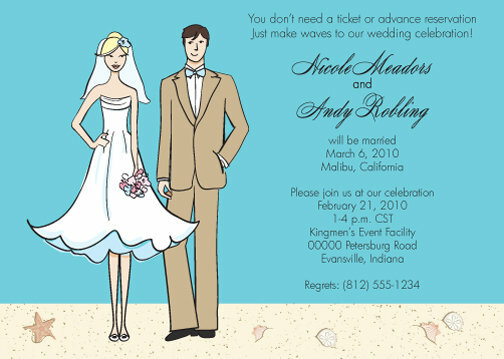 Couples should begin their invitation search at least six months before their wedding date. 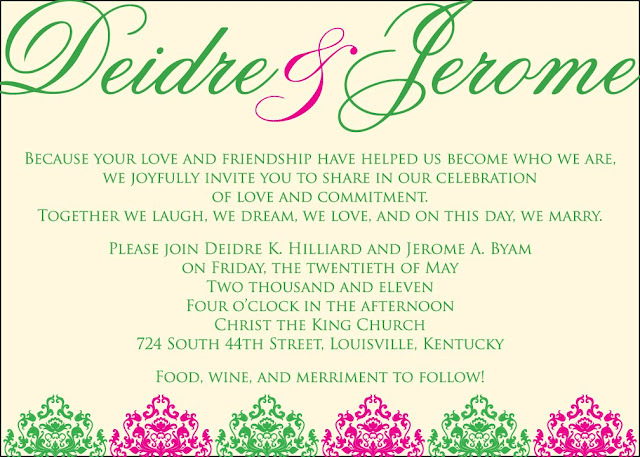 This allows ample time for designing, printing, and addressing the invitations. Once the design has been approved, the invitations can be ready in 3-5 business days! 6. How many extra invitations in general should a couple order, if any? The general rule of thumb is to order 25 extra invitations. Ordering extra invitations at a later date will cost more and may delay in the mailing of the invitations. 7. Do you offer more than just wedding stationery? Yes! We also design marketing/promotional materials for businesses and special events, such as business cards, brochures, flyers, postcards, and booklets/journals. Very informative article. A business that considers a personal and unique touch. Super post. I like very much this post.